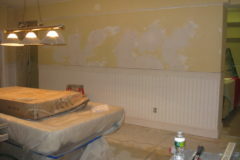 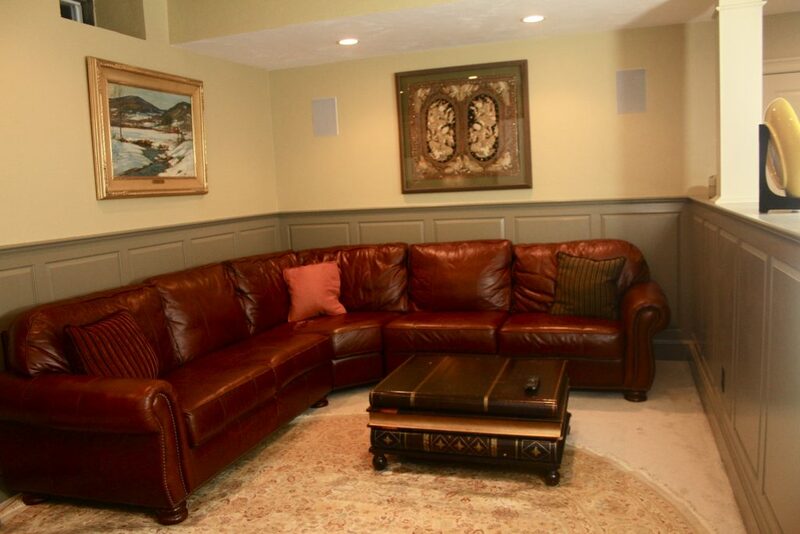 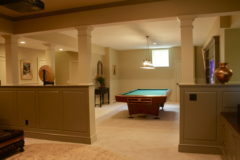 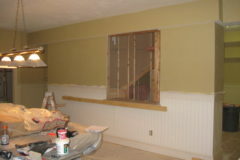 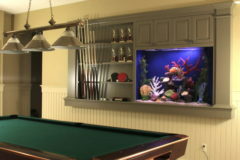 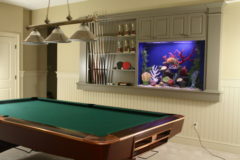 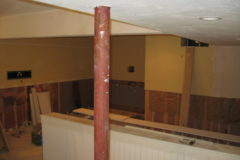 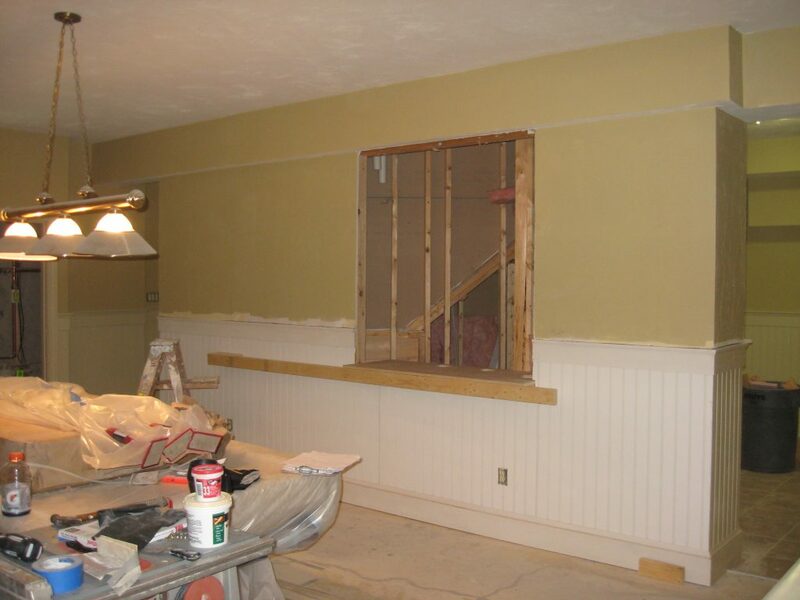 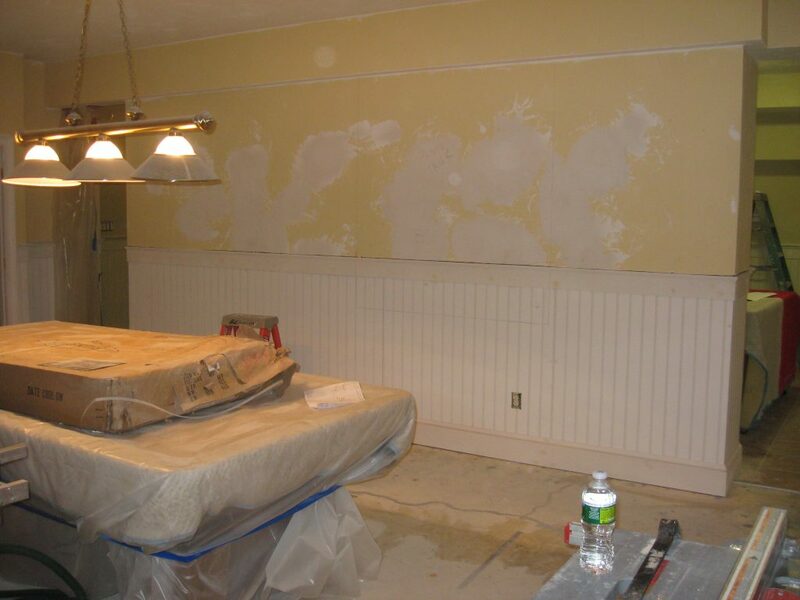 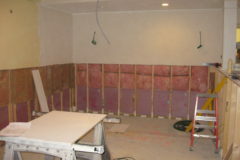 Basement Transformation | MA Restoration Inc.
An entertainment area that had an open feel. 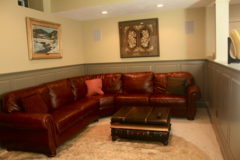 The media area to be classy while cozy and inviting. 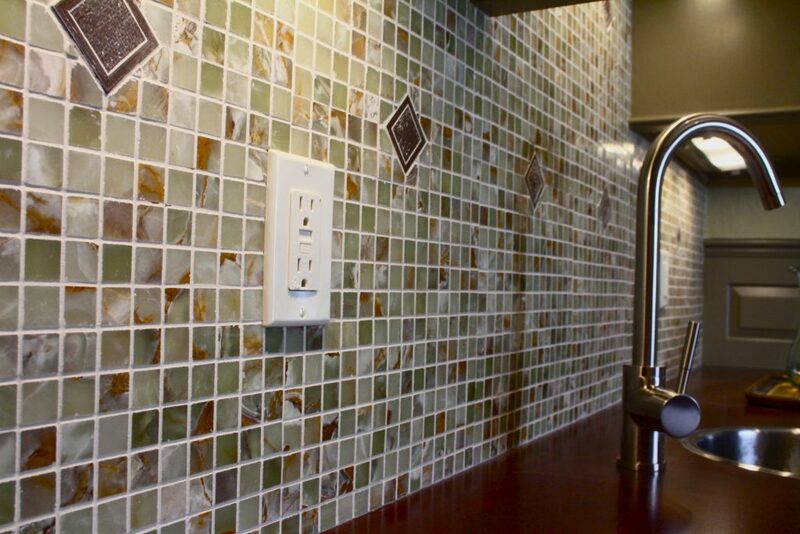 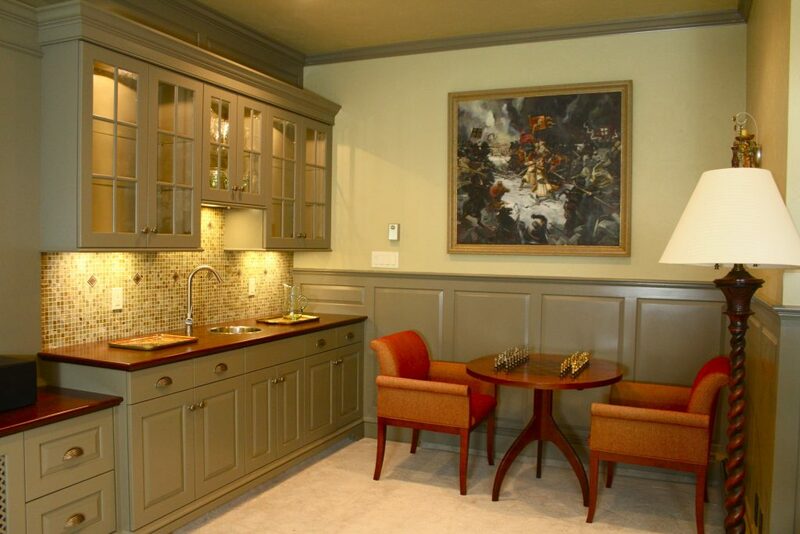 A wet bar to serve refreshments for parties or movie nights. 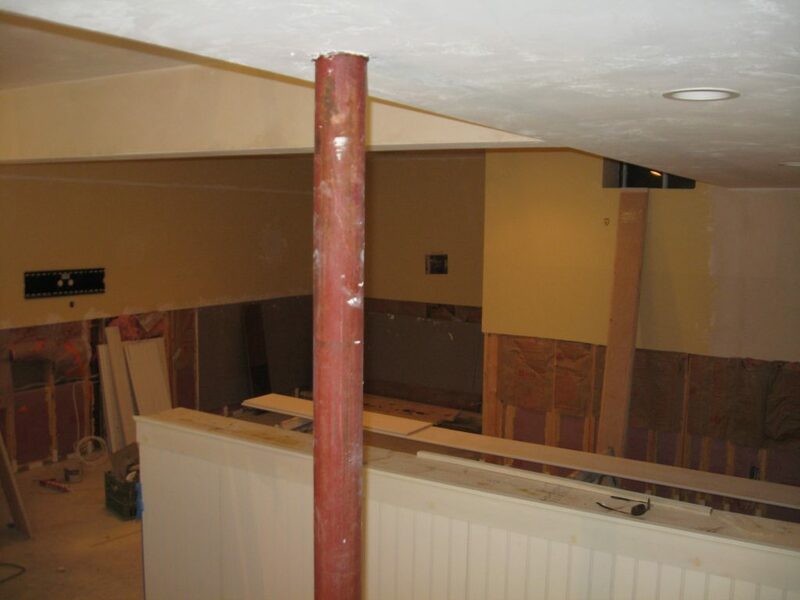 A more sophisticated space– removing the basement atmosphere. 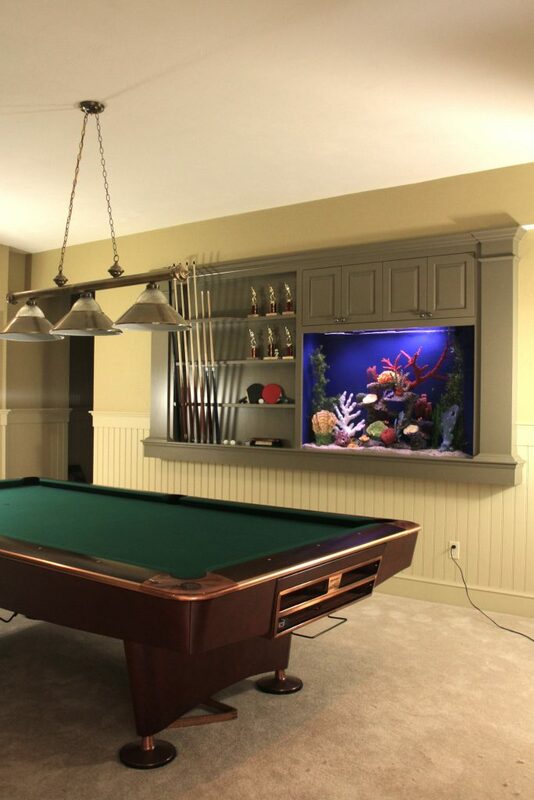 To find space for 150 gallon fish tank. 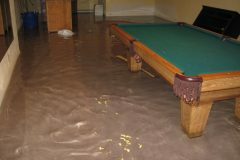 The water seepage was so bad, the basement had flooded twice within the same month –with up to 7 inches of standing ground water both times! 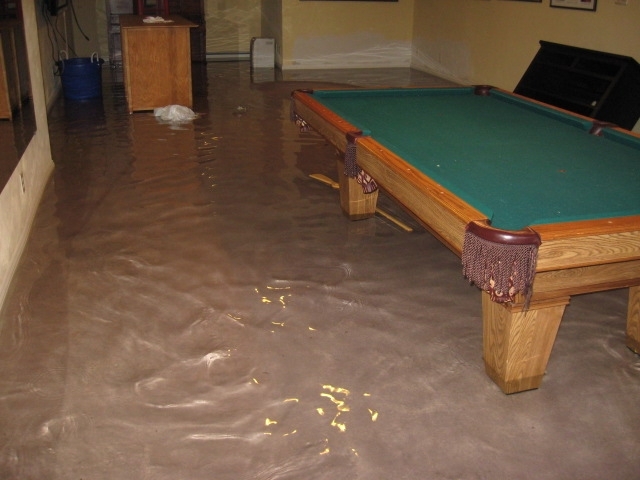 The homeowners wanted to be assured that a flooded basement would never happen again. 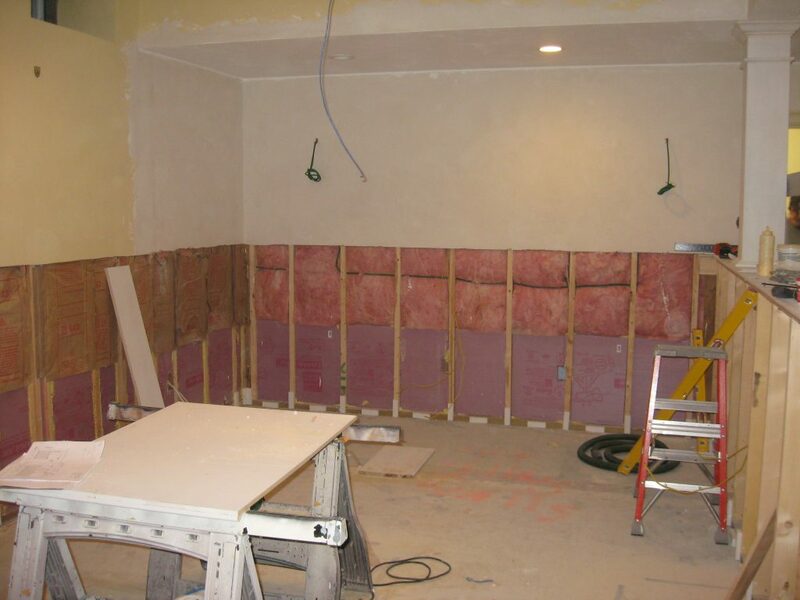 Our solution was to have a basement system installed which required us to remove the bottom plate of the 2×4 walls and chip up 12 inches of the concrete basement floor to install the system. 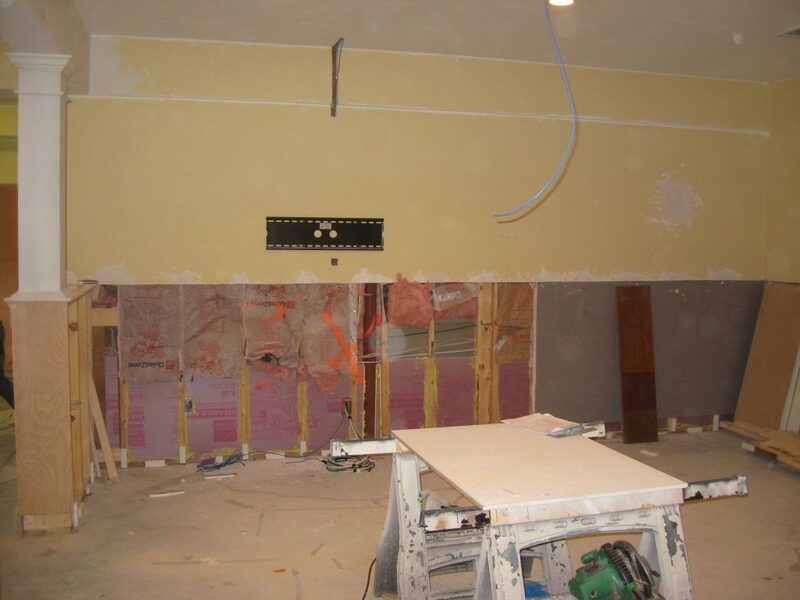 We also extracted the standing water, removed all water-damaged trim, and dried the structure to industry standards to prevent mold from growing. 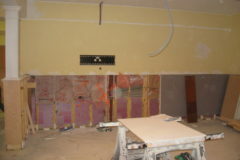 What we saw initially was a large room without any defined parameters. 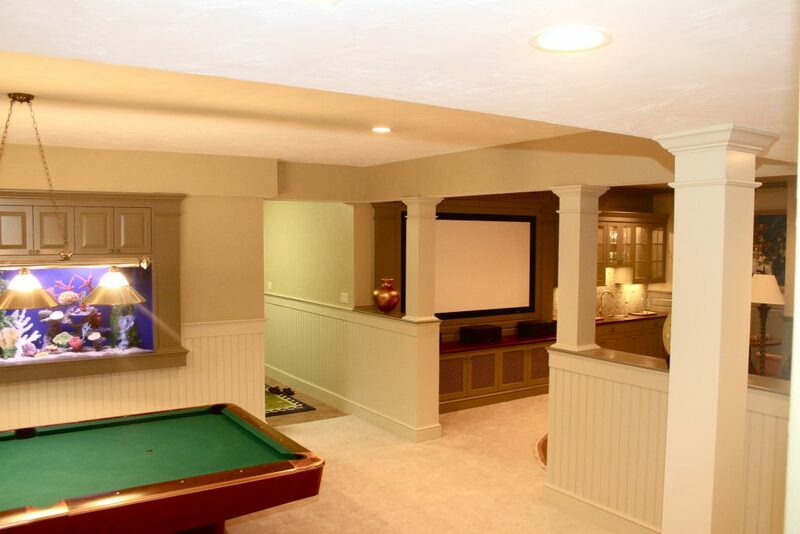 We worked closely with the customer to design separate entertainment areas that were open to one another, but yet provided spatial definition. 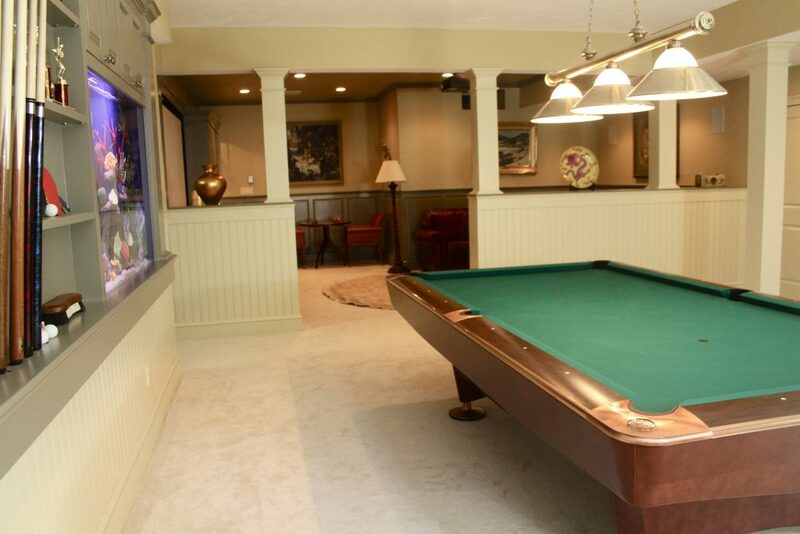 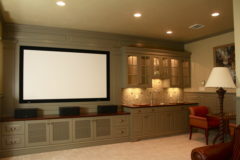 The room was redesigned to provide both entertainment with media as well as pool and other games while giving the homeowners a sense of comfort, warmth and style where they were proud to entertain their evening guests. 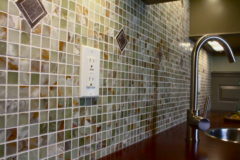 Our team believes we succeeded in these measures and standards. 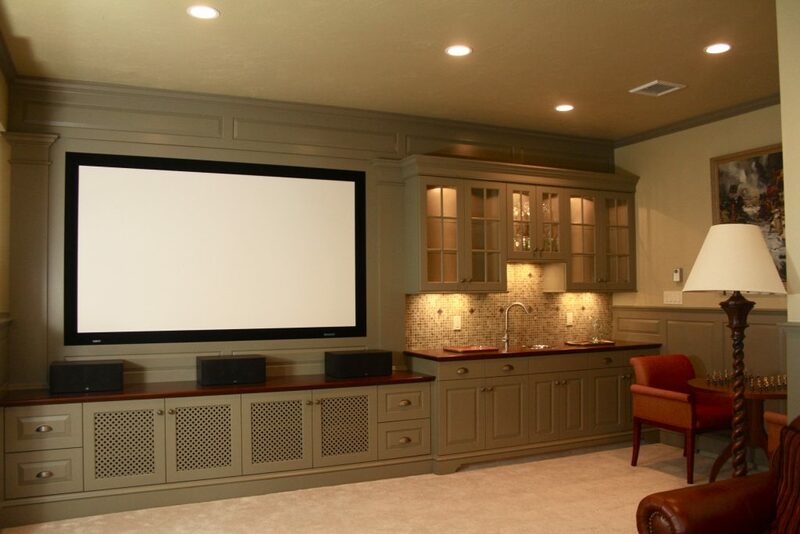 The homeowners were extremely pleased with the result of the room.